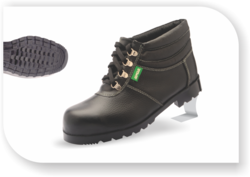 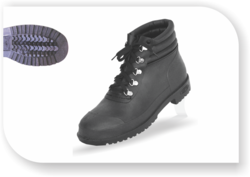 Arvind Footwear Private Limited are an ISO certified organization successfully engaged in manufacturing and exporting a wide array of ISI marked and DGMS certified Industrial Safety Shoes and Safety & PVC gumboots. 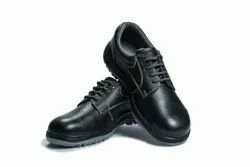 Our craftsmen design this range of shoes as par the industry set quality parameters using high-grade raw-material sourced from the authorized vendors of the industry. 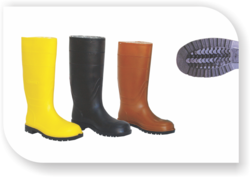 In order to add more clients with us, we are offering this range various size, designs and color to choose from. 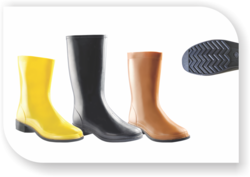 Clients from various parts widely appreciate this range for their excellent resistance against heat and oil, lightweight, comfortable fitting.